In the mid-nineties, Detroit labels had own very distinctive sounds ranging from Pulsar’s rabid 303 riffs to tight Millsian loops and UR’s futurist funk. It means that Lansing, Michigan, where V-Max Records was founded, had to choose an alternative path that meant faster and more experimental techno tracks and some electro. 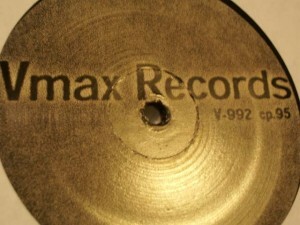 After first listening V-Max tracks seemed even too harsh and twisted, it took some time to get used to the sound. This EP is done by the label founder Heath Brunner aka Silicon, whose catalog includes releases on KMS, NSC and later on Clone-associated labels. It’s a techno record that partly reminds of Black Nation Records from Kalamazoo, not far from Detroit either.